If buying a new home is on your list for 2019, then this is the class for you. Jocelyn Lederman, an agent with Compass, will walk you through the basics for starting the not-so-scary but super important process of becoming a homeowner. 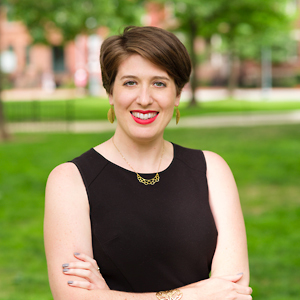 As a resident of DC since 2009 and Realtor since 2015, Jocelyn combines her entrepreneurial spirit with her intimate knowledge of the DC metro area to work seamlessly with buyers and sellers in DC, Maryland, and Virginia. For Jocelyn, real estate is a team sport (Go Orange!) and she is committed to working alongside her clients to ensure a smooth home buying or selling experience from start to finish. Drawing from her experience as a consultant, Jocelyn employs creativity, communication, and a good dose of humor to enhance every client relationship. Jocelyn was born in Tucson, Arizona and grew up in Warwick, New York, where her parents were also Realtors. While attending Syracuse, she was a consultant for nonprofits and small businesses in Syracuse, NY and Cape Town, South Africa, an experience that stays with her every day.